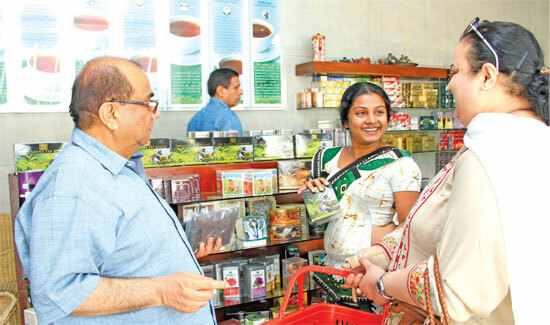 The commercial hub policies adopted by the Government recently will help Sri Lanka to become a one-stop shop for tea with the tag 'Tea Nation of the World', said Tea Exporters Association (TEA), Chairman Rohan Fernando. The Finance Act - Commercial Hub Regulation No. 1 of 20 gazetted by the Government in July 2013 gives the policy framework for commercial hub operations. Medical tourism in Sri Lanka is emerging with a large influx of tourists into the country each year for medication, Industry and Commerce Minister Rishad Bathiudeen told the media at the launch of INTRAD Expo 2014 and Arogya 2014, healthcare exhibition at the BMICH from May 16-18. Sri Lanka’s external sector strengthened further with continued inflows to the Current Account and the Financial Account of the Balance of Payments (BOP). These inflows resulted in a significant increase in the overall balance as at end December 2013. Sri Lanka's plan to consolidate banks would boost economic development and raise systemic stability in the long-term, a spokesman for Fitch Ratings, the global rating agency said. The Central Bank has initiated action on consolidation in the financial sector as proposed in the 2014 Budget by President Mahinda Rajapaksa and presented in the Bank's Road Map for 2014. Among the many tourist attractions in our country, whale-watching has become increasingly popular during a short time span. Now ranked as the best destination in the world to see Blue Whales, the Mirissa whale watching business has grown into a popular tourist attraction.